I’m still in Bsimarck, ND, tapping the rich vein of knowledge that lives in the area. On Friday morning I met up again with the French tourists, and went to visit Gabe Brown. To be honest, I was a little disappointed to have to share this visit, as Gabe is someone really operating on the bleeding edge, and I had hoped to have him to myself. Unfortunately for me, the timing didn’t work out for that. In the late ’90s Gabe Brown went for 4 straight years with almost no crops to harvest, either through hail damage or drought. Unsurprisingly, this almost wiped him out financially. He found himself unable to afford any inputs at all (seed excluded), and so he had to find a way to farm without them. Today he still does not use any inputs, aside from seed and occasionally a pre emergence herbicide. No insecticides, no fungicides, and no fertiliser. The county average for maize is 100bu/ac, his is 127. Two years ago his cost of production for a bushel of maize was $1.43, and it was sold for $6.90. At that cost of production he is always going to make money, something that cannot be said of probably any other farmer in the country. Naturally, he does not only grow maize, but they are scaling back on cropping whilst increasing the livestock business. It should come as no surprise that livestock are involved. The main operation involves cattle, but they also keep pigs, sheep and chickens. The cattle are generally grazed with daily moves, or quicker, and are used as a tool for soil health, as well as for producing beef. 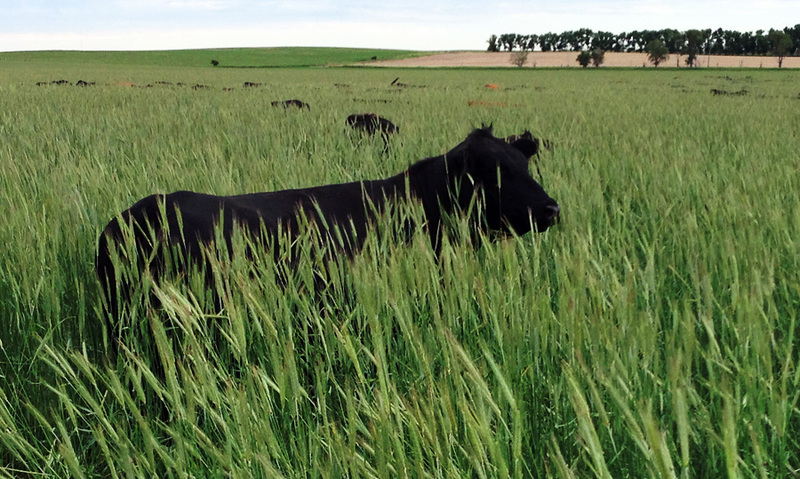 On the day we visited, they were grazing a mixture of triticale and vetch. I say grazing, but it was very obvious that they did not relish this particular forage. Gabe’s son Paul says they do not eat a lot of it, just enough to maintain condition, but the main benefit is trampling the plant residue. This field will soon be seeded into another cover crop, and perhaps next year into a cash crop. No monocultures are grown, and every field has a cover crop every year, with the exception of permanent grassland. The cover crop may be before, during (technically a companion crop) or after a cash crop, or alternatively it will be in all year long. This is where the fertility comes from, both in terms of nitrogen and carbon that are fixed, and other nutrients that are made available through increased biological activity. This brings up a couple of interesting points for me. The first is, how many times is a field cropped in a given period, say 10 years? Obviously if it is cropped once in that time, the average maize yield of 127bu/ac looks less impressive. However, it is important to consider that this is a system of “stacked” enterprises, and arable farming is just one of them. Therefore we must look at the $ return per acre, not the crop yield. I have not seen Gabe’s bank balance or accounts, so will have to take his word for it when he claims to have made enough money by 2007 to have retired. Not bad in 7 years, starting nearly bankrupt. In a similar claim, he says it would easily be possible to earn a living for two families off 160ac; a conventional system in this area would need probably 20-30 times that amount. The second point is one of sustainability. It is a fact that when you sell produce off the land, you will be selling nutrients with it. Most of the produce will probably be carbon and nitrogen, both of which can be naturally replaced. The others, be they phosphorus, potassium, magnesium etc etc, are not coming back. On a personal level this worries me, as I do not want the soils on our farm to be denuded in a century or two, which is how much phosphorus I am told we have. Gabe insists that he has enough for “thousands of years”, which may be true, but I do not think he has actually tested it on his farm. The difference may come from using a different testing methodology. 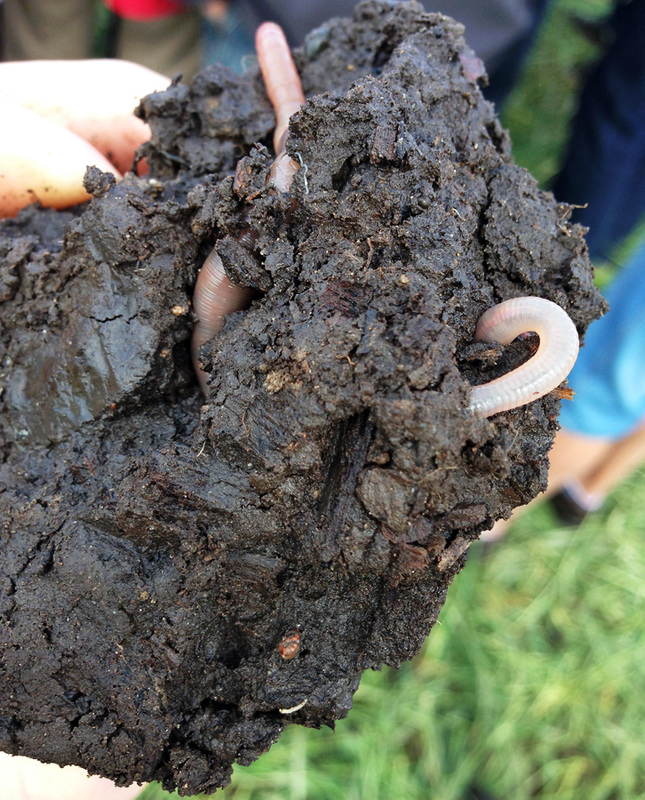 Our tests are done on the top soil only, but perhaps, by using deep rooted perennials, it is possible to access nutrients much deeper in the subsoil. If this happens, and new soil is formed with these nutrients, then we need to measure the total levels throughout a much larger profile. On a personal level, whilst I have a problem with mining something that will last for 100 years, I think 1000+ years is OK. I’d hope by then mankind will have found a solution to the problem, or more likely, another planet to exploit. What did I learn from visiting Gabe (or visiting with Gabe as they say over here)? Not much specific, but seeing someone practicing what they preach, and making it work financially, shows what can happen if you think outside the box. The climate is so different here to the UK that it would be silly to try and copy the system; in the same way that Gabe says he loves the idea of Colin Seis’s pasture cropping, but it would not work with the very cold North Dakota winters. He is also bemused as to why his neighbours don’t copy him, and why anyone would ever grow a monoculture. I think he fails to realise that not everyone wants to run a system like his, which will unquestionably take more management as it does not come out of a book. But perhaps there will come a point where anyone who wants to farm does not have the option of doing it any other way? 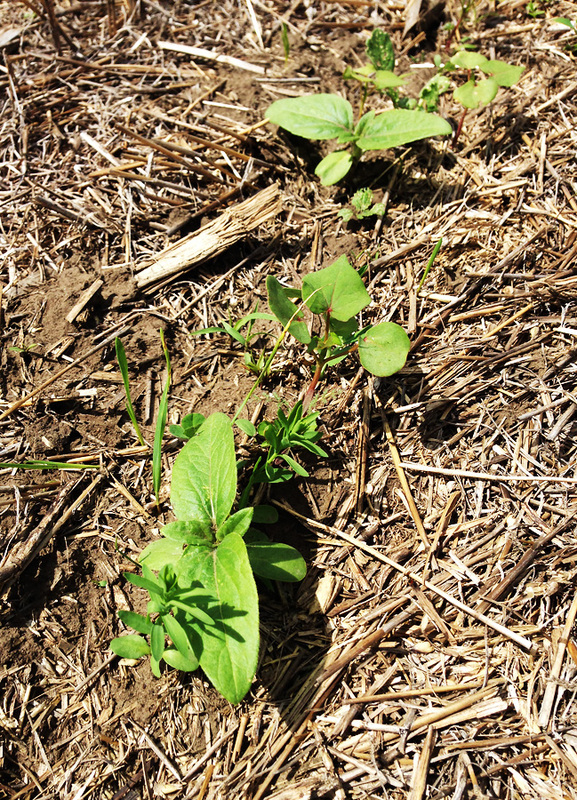 This entry was posted in Cover Cropping, Fertiliser, No-till, Nuffield, USA by David Walston. Bookmark the permalink.